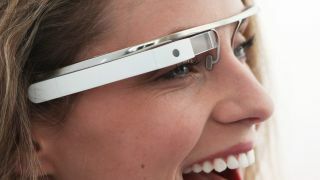 Google is forging ahead with its ambitious Project Glass project securing a series of new patents concerning the device. The patents run the gamut of features, such as one to aid the hearing impaired by providing visual cues to locate the sources of nearby sounds. It could even detect speech and display what people are saying. Another patent places sensors on the nose bridge of the glasses, which could detect when Project Glass is being worn and power on or off accordingly. Google's other new patents include detailed additional cameras for a headset device that would allow for two different views simultaneously, while another outlined data transfer between two headsets via infrared. There is also a patent discussing the use of accelerometers to determine what a user is doing for the most appropriate display, such as walking up stairs, running, or sitting. Google also filed four patents concerning the physical design of a headset computer. None of the patents specifically mention Project Glass, instead commonly favoring the term "wearable display device." However, their descriptions, applications, and illustrations when included match up with the augmented reality glass. Google CEO Larry Page was very particular about the glass being singular when he demonstrated a prototype at the recent Google Zeitgeist event in London. After all, the headset only uses a single augmented reality lens. The technology is still very much in its early stages, so we won't be walking around with wearable displays any time soon. But with new patents constantly popping up, it's hard not to at least be intrigued by Project Glass's growing feature list.